Your student has worked hard on learning to write those capital letters. Now it’s time to use them! 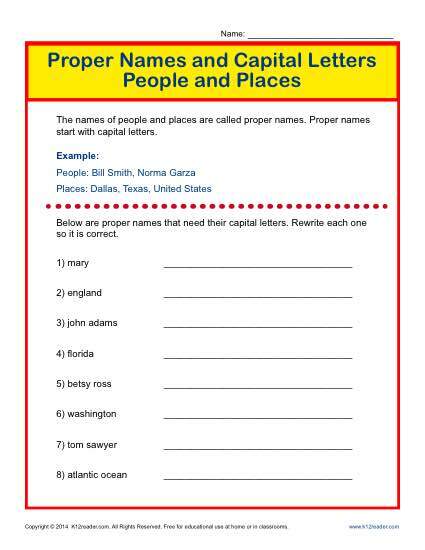 This worksheet has a variety of proper names that your student will rewrite using the “big letters.” It’s a great way to work on Common Core Standards for Language for 1st or 2nd grade, althought it may also be appropriate for other students.